According to Zillow, sellers have the advantage in a sellers market because they can plan in advance of going on the market. Here a few tips to use when planning to sell real estate. First of all, when selling a home right now, you need to make sure that the price is right. Because the real estate demand is down, you need to make sure that the price on your home is reasonable and fair. If you end up trying to price it too high, people are going to merely go on to other homes instead of purchasing your home. On the other hand, a price that is too low may make people think that there is a problem with the home. Work with a good real estate agent and have a comparative market analysis done to ensure you can come up with a reasonable price for properties that you are selling. This way you will make sure you sell the property as soon as possible. If you wish to sell the property and get a high price on it, it is important that you keep it in great shape. People look for a home that they can move right into, which means they don’t want to have to fix any problems. This means that you should fix any maintenance problems that the home has. If there are repairs or cosmetic problems that need to be taken care of, then do it yourself before you try to sell. Otherwise, you’ll have buyers trying to get a discount on the price. Just doing a few repairs can make your home more valuable and easier to sell. 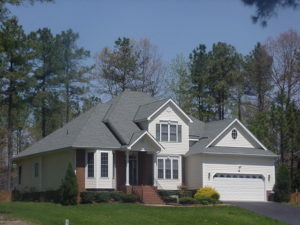 It is important that you work to beat out your competition when trying to sell the piece of property for a good price. You can do this by offering various incentives. Consider adding in the appliances in the home with the purchase. Paying for their closing costs is a great incentive as well. Of course, one of the best method to beat the competition is to purchase a home warranty for at least the first year, which is a huge selling point for many buyers. Last, of all, it is so important that you keep your expectations realistic as you work to sell the property. Just forget about the way the real estate demand used to be. You have to work with the current market so don’t even waste your time thinking about the way things were in the past. Although you may not be able to make as much now, if you work hard, you can still make a nice profit. Look at what homes in the area are selling for and then realize that you won’t get more than the value of the home so you should consider all offers that are reasonable. With these tips, you’ll find that selling real estate today and getting a high price is much easier. Keep these tips in mind as you work on selling your property, and you’ll find that everything goes more smoothly for you. Whenever offering, keep your home organized in a prepared state to bring purchasers. Individuals need to be prepared to envision themselves in a home when they are inspecting purchasing. A warm home still loaded with pictures, and furniture will permit the proposed purchaser an opportunity to see their things in place of yours. A cool, unfilled sterile property is not an inviting place to live. You can exhibit your home’s front entryway a privilege outside lift by pushing your old house numbers and supplanting them with new metal ones. Pick exquisite numbers with sparkly gold or new dark numbers to speak to your location. Show them in a slanting or even design for a sensational look. As expressed before in the article’s survey, to sell real estate, you must be learned. Selling real estate requires that you thoroughly understand the real estate showcase and can settle on vital choices when purchasing real estate property. On the off chance that you utilize the exhortation from this article, you can get to be sufficiently educated to sell real estate.